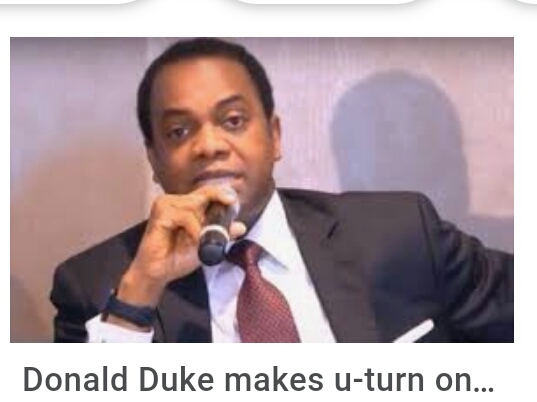 Donald Duke, a former governor of Cross River state, on Tuesday, September 4, said he had dumped the Peoples Democratic Party (PDP) and had pitched tents with the Social Democratic Party (SDP) under which he hopes to actualise his presidential aspiration. Premium Times reports that Duke, who governed Cross River for eight years, was expected to contest for presidency on the platform of the PDP. The report said Duke announced his decision to quit the PDP at the national secretariat of the SDP in the afternoon of Tuesday, September 4. He was received by the national secretary of the SDP, Shehu Gabam, the publicity secretary, Alfa Mohammed, and other top party members. Duke reportedly said he dumped the PDP after about 20 years because it had derailed and lost its values. He said the PDP was not the same party he joined back then.